A father serving in the Royal Navy meant a somewhat haphazard education. I was given the choice of being left at boarding school or travelling; I chose to travel. My education was far from artistic; in fact my passion was for Sciences and my first job was in the Royal Naval Scientific Service. I had no early exposure to photography apart from a few holiday ‘snaps’, and was 30 before I was finally seduced. 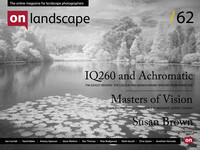 I have now been a photographer for over thirty years (bit of a giveaway!) and I am delighted that I have managed to catch up and keep up. Things have changed; darkroom to digital was a difficult transition, city to coast another. I did take some time out for a few years and it was almost back to the bottom of the learning curve, technologically, which was frustrating, but my vision retained and perseverance won through. I know I still have much to learn but am happy to have got this far. My first epiphany – as with many darkroom photographers – was the excitement, uncertainty and anticipation as an image I had worked hard to capture began to appear in the developing dish. I am now completely digital and often miss my darkroom; even the smell of the chemicals makes me nostalgic. My second moment of epiphany was moving to Devon and near the sea. Standing alone on a beach one evening I watched the continual shift of water and light and realised that my work was to take a whole new direction. I enjoy art and have always visited lots of galleries and exhibitions. I was told anyone can be taught to draw. I proved that theory to be wrong! But I did know that I could see… that I was observant. When I was 30 I spent a year at night school in Bristol learning about darkroom processing and took to it like a duck to water. I became completely absorbed, getting up at dawn to visit local lakes and countryside, sometimes working with other photographers I had met on the course. I became completely passionate about this new interest in my life. During the 90s I set up, chaired and secured charitable status for an ‘Arts in Health’ Company. This took art in all its forms - music, dance, creative writing, photography - into hospitals through exhibitions and workshops. It was at this time I became sensitive to landscape and images with a ‘feel good factor’ and it is why I have had several exhibitions in hospitals. Could you tell us a little about the cameras and lenses you typically take on a trip and how they affect your photography. As a PermaJet Lecturer I give talks all around the country. I smile at this question as it’s always men who ask about what equipment I use (how sexist of me). I use a Canon 5D Mk11, 16 – 35, 24 – 105 , and 70 – 300mm lenses. At the moment I also have a 24m Tilt and Shift because I want to change my direction, but am not enjoying this lens. I am not usually a quitter but I think this lens is about to go back. I usually use wide angles. I like to be close up and personal (this often results in getting rather wet!) and I do not like too much weight to carry. You went to Santorini, one of the most strongly coloured landscapes on the planet, and then shot it in black and white - bold decision. Can you tell us what moved you to dispose of the colour? Santorini was a ‘crash out’ holiday; time for books and relaxation, but of course the camera came too! At first I could not see beyond the colour as it is so vivid and all the images I had seen of Santorini were strong blues, whites and ochres. An hour on my own with the camera and the shapes began to dominate so monochrome seemed the obvious option for avoiding the distraction of colour. What sort of post processing do you undertake on your pictures? Give me an idea of your workflow.. I am not the most technical person in the world (understatement) so I do as much as I can in camera to avoid too much computer time. I use Photoshop CS6. Having done the normal levels etc., I examine the image carefully paying a lot of attention to detail: for instance, uprights should be upright (not always easy with a wide angle). I use the puppet warp tool to anchor everything that is satisfactory and then straighten lines where necessary. It took me some time to get the hang of this. If using monochrome I convert in Photoshop as I feel I have more control and then I use Silver efex to make finer adjustments. I always use the manual settings on the right to maintain personal control and always check the zone system of exposure at the bottom to be sure I have detail where I want it. I do not believe in always having detail in the blacks; only when that detail adds to the image. Finally, I blow the image up on the screen and go over it with a toothcomb removing all blemishes with the healing brush. Little irritates me more than an image presented with imperfections and blemishes. One of the joys of photography for me is holding the final print in my hands, so I print most of my work. I use an Epson R3880 as I print to A2 for exhibitions. The type of paper used can make the world of difference and to me an image is not complete until it is printed and on the paper that enhances it most. Maybe this goes back to my darkroom days; there was no joy in looking at a negative. Strangely one of my favorite photographers is Elliot Erwitt. I say strangely because he inspires me yet I have no wish to emulate him. I think I admire his work because I could never achieve what he has done; his way of seeing is completely different to mine and this is what makes it so fascinating. Of course when it comes to landscapes it has to be Ansel Adams. I was lucky enough to be given a large compendium of the Magnum Photographers, and this has been a real inspiration because it illustrates that one can never be satisfied; that there is always more to learn. I think I am self-driven, and any success drives me harder. The one thing lacking in my life is time; there is so much to see and do that prioritising is a major challenge. As I get older time seems more precious than ever. I think my favourite images are not necessarily my best but those that hold personal memories. I was in Weston Super Mare one day walking the coastal path, and was invited by a homeless man to have a cup of tea in ‘his shelter’. I took some images from his window of Burnbeck Pier as a strong wind swayed the treetops. Many photographers would have photographed the man himself, full of character, but I am hopeless at doing that; I would have felt I was invading his privacy. Carl Cox was his name, hence ‘Carl Cox’s View’. Sadly, on a return visit, the shelter was chained off and the Council had reclaimed the space. My other favourite would be ‘Sunrise at Dawlish’. Last year my elder daughter emigrated to Australia, a sad time for me. I could not sleep so went to Dawlish for the sunrise expecting a calm day with a mist. However it was stormy; the sea raging and the air invigorating. It was comforting to be at one with nature that morning. Firstly I think I would sulk! I would then pull myself together. Walking would frustrate me without a camera, so I would visit galleries to keep my eye in and read books. I would also do lots of cooking, which would please my husband too. The biggest challenge is always to find new ways of seeing. I would like to do more abstract work. I love the sea (as long as I am not in a boat!) but so do many other photographers and it is difficult to do something that is not a current ‘fashion’ or obvious. I would like to spend time examining the minutiae and isolating particular elements. That is why I tried the Tilt and Shift but it’s not ticking my boxes. It may be the operator of course! I am still exploring how to achieve this. And I will never be able to resist a new sea pool. Maybe David Baker, I have yet to meet him but love his affinity with the sea.